For some of you, this may be a "Pin now, read later" post. If so, click the image above! If you are anything like me six months ago, you have already decided you want nothing to do with the envelope system and are not even going to read this post. Well, let me stop you there. I hear you, I really do. I made that list very easily because those reasons are things that I told Ben when he expressed interest in wanting to use cash, and the envelope system. It is my hope and prayer that through reading this blog post you will have some questions answered, and start to see that you could adapt this version of the envelope system to work for your family. Before we get to the nitty gritty, let me just say that no one is perfect. This is a work in progress for our little family. It has already blessed us so much but there have been different little things I've changed about this every single month. The goal here is for you to figure out something that works for YOU. That may be different from your mom/sister/best friend/neighbor.. AND THAT'S AWESOME! There may be parts of our process that you think are ridiculous, or you may see things you think could be changed or fine tuned. Do it! Try out changes and shoot me an email (victoriastrader9@gmail.com) and I would LOVE to hear about it. Please do the same if you have any questions at all! If something is not clearly communicated, or you have a question about a certain money scenario or anything at all, just email me and I'd love to help you or point you in the direction of someone who can. I constantly text my sister in law questions about the envelope system. She's who introduced me to this organized way of handling family finances. To start, you need to establish categories for spending, and settle on an amount of cash for each category. If a category "rolls over", that means we let the extra money stay in the envelope and build up. For example, "Toiletries" roll over so that if we are light on purchases one month, but need a ton of things at once the next month, things aren't affected. Let's call these, Roll Overs. Other categories are designed to roll over, those are Saving Categories. For example, at the beginning of the year, we made a list of everyone that we were going to buy Christmas presents for in December, and a budget for each person. Say we were spending $1 each, on 12 people. Then, we would put $1 a month into the "Christmas" envelope, and in December, we would have saved enough money for all of our Christmas gifts. I love this because you often hear people complaining about their finances taking a hit around the holidays because of gifts, and it kind of takes away from the fun of it. This way, we have been planning all year for all the gifts we will joyfully give. Another example is my haircuts. I get a haircut about every 4 months, so we took the total cost of a haircut (including a tip) , divided it by 4, and got the amount needing to be saved each month to leave me with enough money in the envelope for a haircut every 4 months. Categories that do not roll over, (Groceries & Entertainment) challenge us to go under budget. 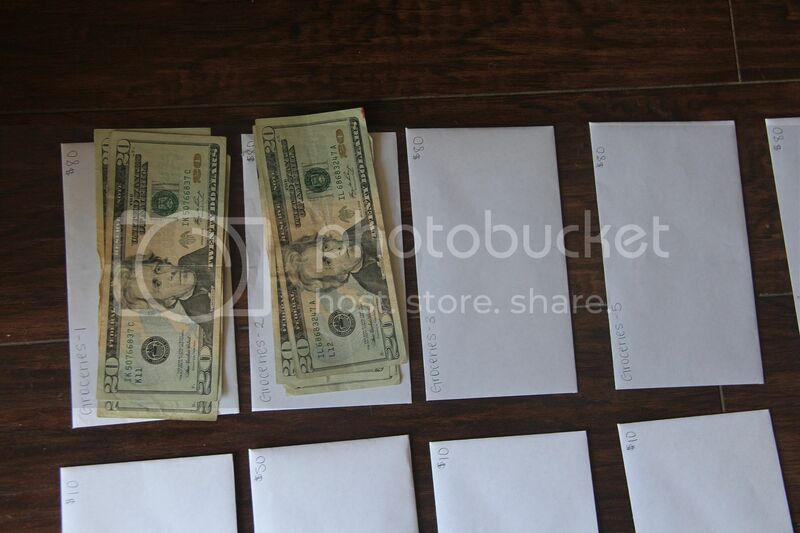 When we have money in those envelopes left over, the amounts go into an extra envelope, called "Extra Money". That way, if one month I need to buy an extra gift or a few extra groceries or whatever, we have some extra cash to pull from. Or if we want to have a little weekend getaway and we have saved money into the extra envelope, we can use that. It is so encouraging to let this envelope build up for a few months and see how much you have saved in just two categories! Note: I'm in favor of making the budget a bit higher instead of a bit lower. Here's why. It is just plain discouraging when every week you cannot go to the stinking grocery store without messing up your budget. When you have it a little bit bigger, then you will have some money to save, going into the "extra money" envelope. It can be awesome to see how far under your can go, although obviously you don't want to set the budget too high! This is a personal preference of mine, but it's something to think about. Ben & Victoria: ($10 a week) This ten dollars can be used for whatever... if we want to have coffee or lunch with a friend, grab Starbucks on our way somewhere or if Ben wants sunflower seeds at the gas station. These little purchases can really add up and having a limited $10 has really given us control over those splurges. This is basically any eating out that we do when we aren't together. If either of us does not use this money, we can save it or use it for whatever else. Entertainment: This category includes eating out, going to movies, baseball games, etc. 5th Sunday: (Saving Category) Okay. Bear with me. When you choose a certain day of the week to distribute weekly envelopes, there are always going to be a few months out of the year that have 5 of those days instead of four. 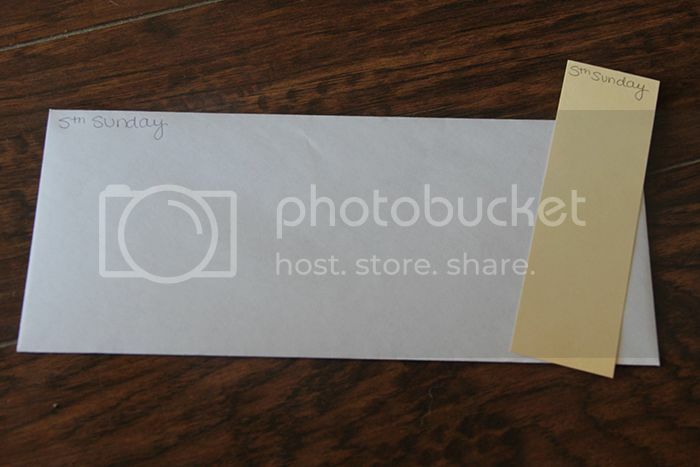 We get our envelopes on Sundays, so this envelope is called "5th Sunday". There is a month with 5 Sundays every 3 months. 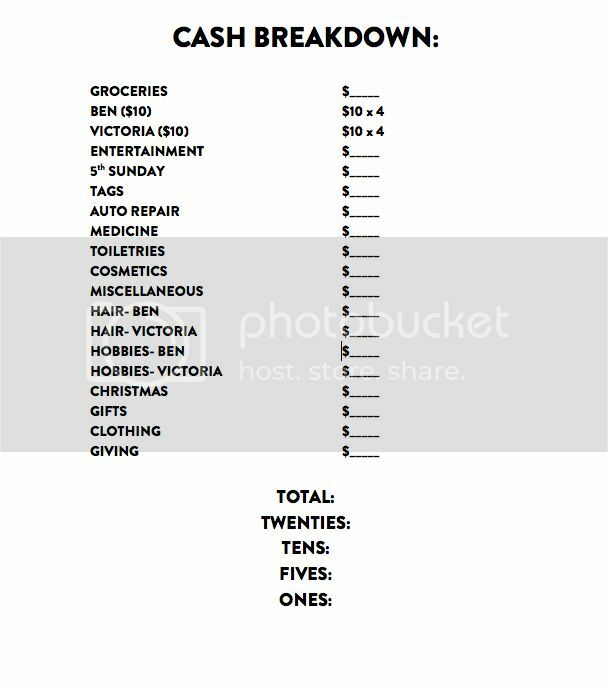 We added up the four categories that we get weekly, (groceries, Ben, Victoria, & Entertainment) and divided that total by three. For example, if it was $33 (it's obviously not!) Then you would put $11 in this envelope every month. Then, during the longer month, you have saved the $33 that you need for the week and you don't have to feel like you are spending more money that month. I hope I communicated that clearly, again, feel free to email me! Tags: (Saving Category, $15 a month)We have 2 cars, so this amount is how much we need to save each month to equal enough money to pay for the tags on each car at the end of the year. Auto Repair: (Saving Category, $20 a month)This builds up enough money for regular oil changes. The leftover money will remain in this envelope in case we need something bigger done to our cars. Medicine: (Roll Over, $5 a month) We put aside $5 a month into the medicine envelope so that when we have a cold and need a $10 medicine item, our grocery or toiletry fund don't take a big, irregular hit. We have yet to use anything from this category. It is one that rolls over. Toiletry Articles: (Roll Over) Some people would just call this "Household Expenses" but for some reason, it's just called Toiletry for us. :) This includes things like trash bags, shampoo, soap, paper towels, etc. Anything extra that we could buy at the grocery store for our hygiene or our home! Cosmetics: (Roll Over) This includes any of my makeup. For the most part, hair products or skin care products come out of "Toiletry Articles" just fine. Miscellaneous: (Roll Over) This covers anything extra. If we need to buy an extra gift or something in our kitchen gets lost or broken, or we need office supplies or whatever. Miscellaneous covers those things! Haircuts for both of us: (Saving Category)This covers a monthly haircut for Ben and one haircut for me every 4 months. Christmas: (Saving Category) This money builds up to buy all of our Christmas gifts! TIS THE SEASON TO BE JOLLY!! 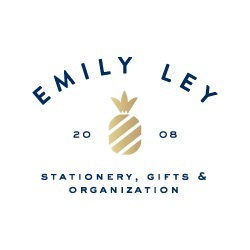 Gifts: (Roll Over) This category is for wedding gifts, shower gifts, birthday gifts, etc. Clothing: (Roll Over) This covers any clothing we NEED. Aka, not a lot. This doesn't mean J. Crew sale, it means Ben's socks have worn out or my black flats fell apart and I need them for teaching or whatever. Any fun clothing we want comes from our Hobby funds. Giving: (Roll Over) This category, not to be confused with "Gifts" is just miscellaneous giving. Surprising a loved one with a random package or if we know someone in need who could really use a few extra dollars. I LOVE this creative category for extra giving to those around us! After creating your monthly cash list, you need to figure out your cash breakdown. This means, the amount of each type of bill that you need to get from the bank each month. This is such a science and I feel like I am changing it every month. For the most part, our cash breakdown is just getting the amount of money into the envelope with the largest bills possible. Our only exception is the Entertainment fund. Because this covers our eating out, I include a good part of each week's cash in ones, so that when we eat somewhere we have money to easily leave a tip without waiting for change back. This may seem really silly, but it has simplified life for us! Note: These sheets were typed up in Microsoft Word, and printed onto card stock. Note: If you are worried about bank tellers being frustrated with your request for all the different types of bills, let me tell you that I have never had an issue! Every month when I go to get the cash the ladies all ask how the envelope system is going and I get to tell them how awesome it has been for our marriage! This is our box of envelopes. It keeps everything organized and happy! It holds all the envelopes that aren't being carried in my wallet at the time. 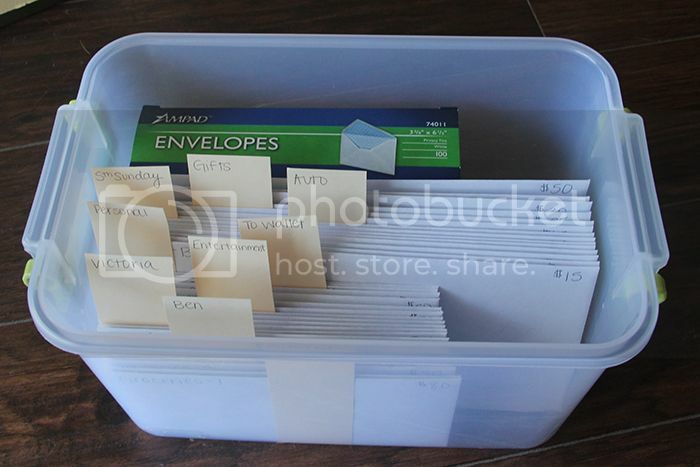 We (Kayce and I) set up the box to include little dividers, so that I know where the different envelopes are. 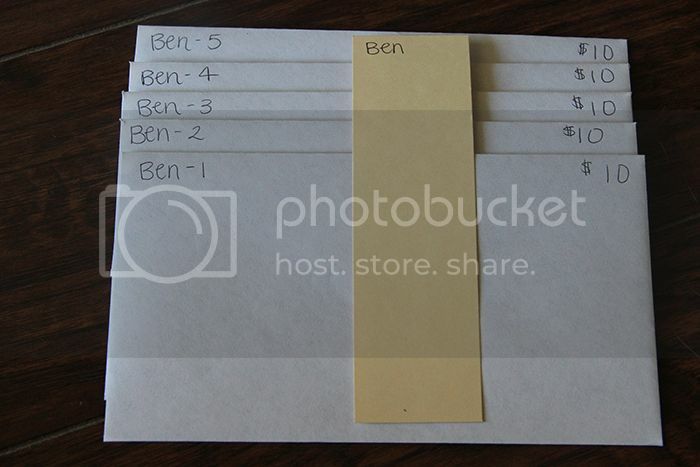 Weekly Envelope Categories (Grocery, Entertainment, Ben, & Victoria) have five envelopes of the same label, like this. Let me explain. During the first week of the month, I will carry around "Groceries- 1" in my wallet. 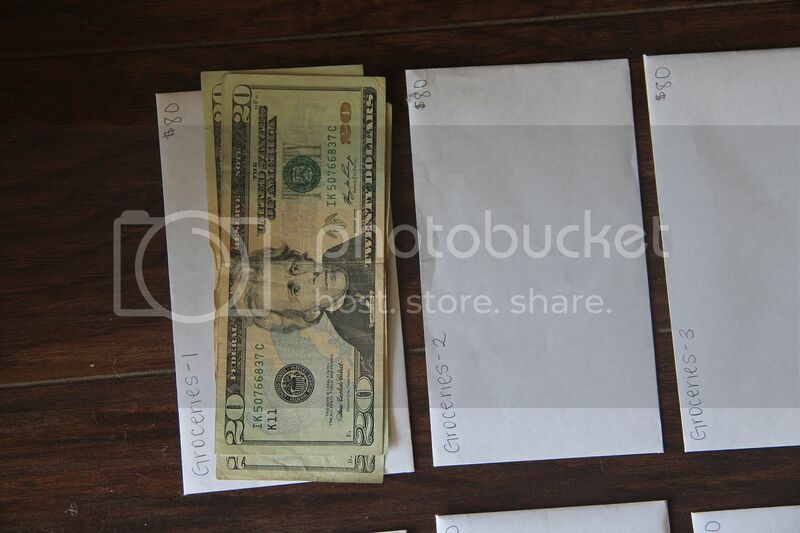 The next Sunday, I will put the "Groceries- 1" envelope back behind the divider and get the next one. And so on. 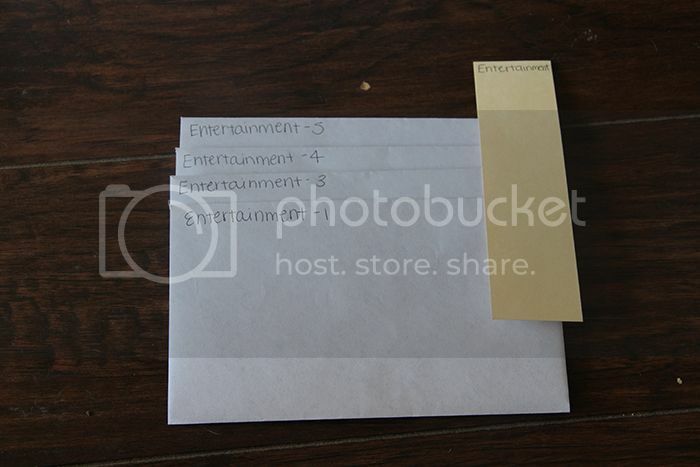 The manilla divider is pictured above with the envelopes in it's category. Each week when I get the new envelope is when I move the leftovers into the "Extra Money" envelope. 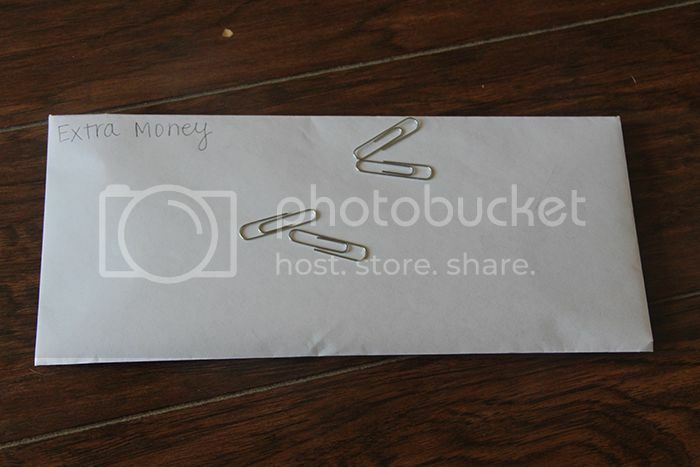 The paperclips are inside the envelope so that when we have $100 of extra money saved, I can paperclip those bills together. It just helps me stay on top of our savings and keep me from recounting it on a regular basis. Note: The weekly envelops are made out of 3 5/8" x 6 1/2" envelopes and ones that are savings envelopes are bigger, 4 1/8" x 9 1/2". 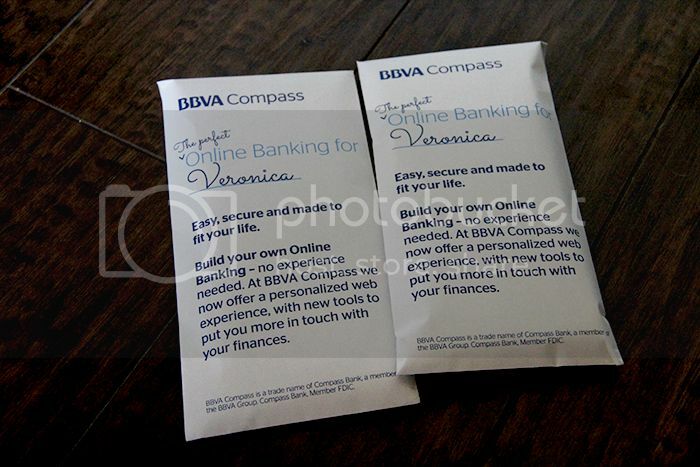 The weekly envelopes are sized to fit in my wallet, and the bigger ones are sized to hold a larger amount of bills. 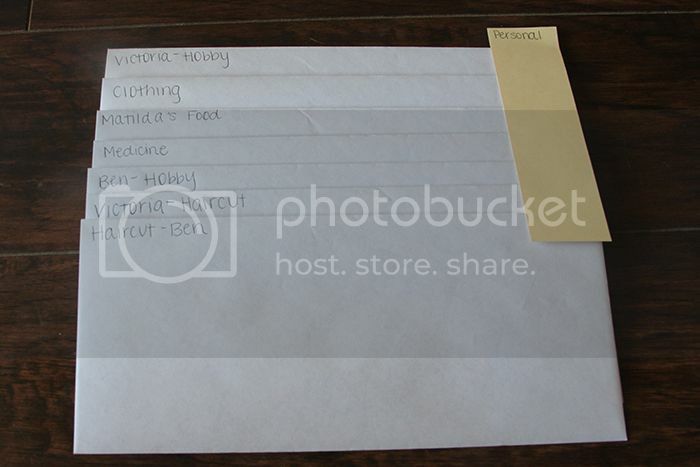 For reference, the other weekly envelopes and their manilla dividers look like this. Other dividers and their monthly envelopes look like this. Oops! I forgot to photograph the envelops in the "Gifts" divider. That includes the Christmas envelope, the Giving envelope, and the Gifts envelope. 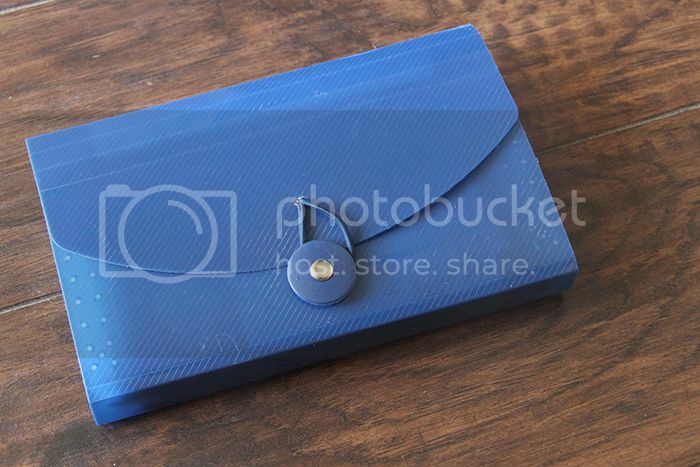 The box is a great way to keep all of the envelopes organized, but I can't carry it around everywhere. That's why each week's weekly envelopes (Groceries, Entertainment, Ben, Victoria) and a few others go in my wallet. What does my wallet look like? In the first flap, I keep all receipts (misspelled above, awesome!). This makes returns super easy. Every week when I trade for the next set of envelopes, I also move the receipts over to a box I have in my desk. It looks like chaos, but they are automatically organized chronologically from me dumping them in there, and I can easily find what I need if I need to return something. I clean this out every few months, when return periods have already expired anyways. 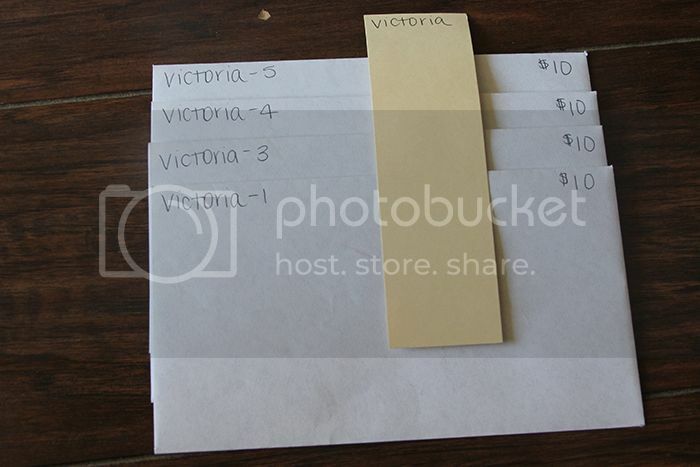 As you can see, I store the grocery, entertainment, and weekly (my Victoria $10 envelope) in the first few flaps. Skip back a few, and I have a spot for gift cards, my hobby fund (labeled Home Decor), and also a folder for deposits. Once a month, I have my big stack of cash from the bank, and need to get my envelopes organized for the next month. If you are worried about spending a ton of time on this, it takes me about 20 minutes every month. Not a lot of time considering the large impact that it has made on our marriage and money spending habits. Here's how I do this. First, I separate the bills into their amount values. 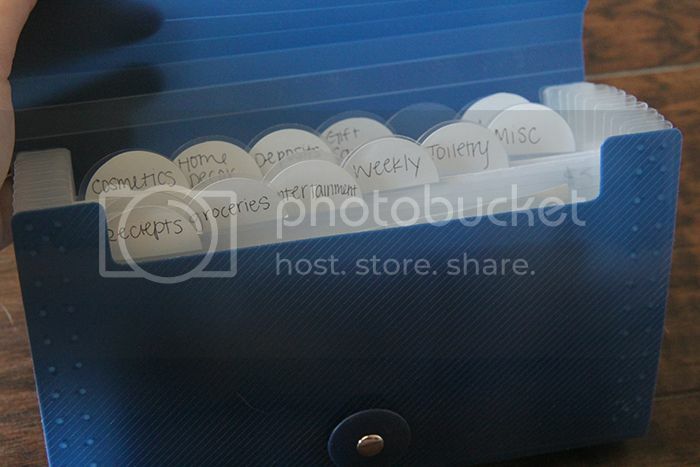 This shows me what I'm working with, and makes it easy to quickly fill envelopes. 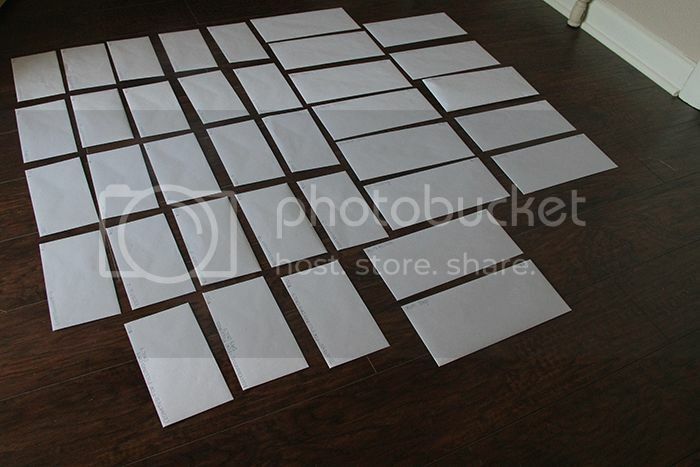 Then, I spread out all the envelopes on the floor. I probably look like a crazy person when I do this. But I kind of love it. I then grab my planner, and flip to my Cash Breakdown sheet. Remember that, from Step One? It looked like this? Using the Cash Breakdown sheet as a guide, I fill envelopes. I look at the label on each one, then see how many of each bill needs to go in each envelope, and set those bills on top of the envelope. Like this, for groceries. Why just set the bills on top of the envelopes? Although you have your Cash Breakdown sheet, there is a large chance you'll finish with extra cash or not enough, due to a small mistake you've made along the way. I think every month I will accidentally put an extra bill in an odd place or something. 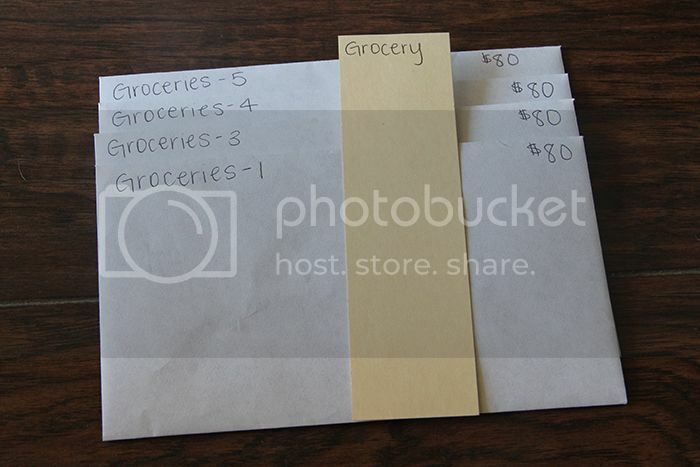 Because many of these envelopes are "Roll Over" envelopes, if you immediately put the cash in the envelope and then find a mistake at the end, you could never find that mistake, not knowing the exact amount that was in the envelopes before you added more. It will also save you from opening all the envelopes multiple times. Trust me on this one, set the cash on top, double check everything is great, and then finish with tucking the cash inside. Rewinding a little bit, I ALWAYS keep cosmetics, toiletry, and miscellaneous envelopes in the wallet. They only get refilled monthly, but I use the categories enough that I need to keep the envelopes with me. I have a set of them in the box, and a set of them in the wallet. Here's why. When I have spread out all the envelopes from the box on the floor to fill them with cash, it would be easy to forget about these three categories, because they always remain in my wallet. I made these three which always sit empty in the box, to solve that problem. 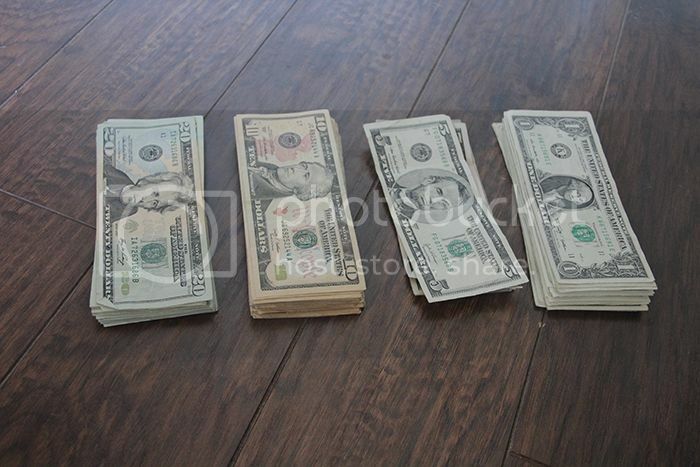 I use them to lay out on the floor when I am dividing the cash for each envelope. 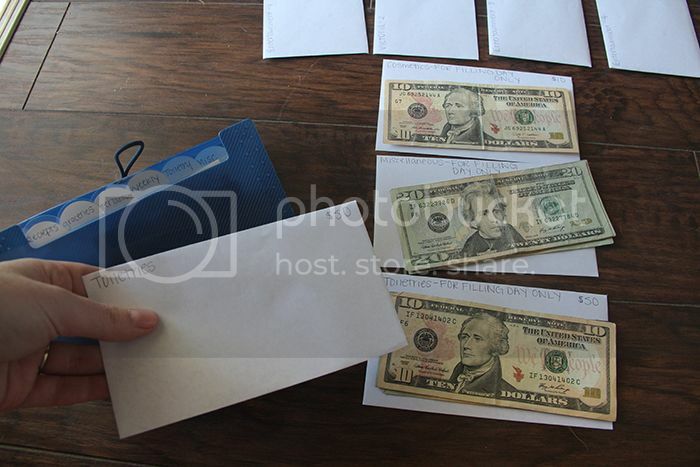 After all my cash is laid out on the envelopes, and I am actually moving the cash into the envelopes, I take the bills off of these three categories, and put it into the envelopes in my wallet. See the photo above for clarification. Note: I made sure to label these "FOR FILLING DAY ONLY!!!" so that I know not to put the cash in those envelopes. You could always label them with a highlighter or something if needed. Yay! You're done with filling all your envelopes! Now put them back in your box and wallet, and you're equipped for Financial change! Step Five: Maintain the System and LOVE YOUR LIFE! I know this is about the longest blog post you've ever read/ or probably not read in your life. But I promise this is extremely simple maintenance. It takes much less time than I would spend constantly checking a debit or credit card and seeing amounts add up and stress me/Ben out. We are so thankful for this discipline. We don't choose to budget for gas. We pay for gas on our debit cards (I really didn't want to be going inside the gas station to pay for gas with cash each time, sounds silly, but it's true!) and because we can't control the cost of fuel, we didn't see much of a reason to set a budget for it. We couldn't really limit our driving because of a certain number we had set for our cars. We have places we need to drive to, but don't just go crazy and joyride to burn money away. None of our monthly bills are included in the envelope system. We pay all of our monthly bills, our mortgage, give our tithe to our church, and support ministries through online payment or checks that I mail. These amounts are the same every month (within reason) and are expected. The envelope system does not account for any investments that we make, Ben takes care of those with some help from outside sources. You can have envelopes for literally anything. If you want to save money for a vacation, you could set a budget for that vacation, divide it by 12 months, and put aside that new amount into an envelope each month. At the end of the year, you'll have enough saved for your trip, and your bank account won't take a hit. This system is all about planning for everything, so that there are no unexpected or irregular losses of money. If you are worried about fumbling around with your envelopes or are shy about it, go to self check outs whenever possible. I almost always do at the grocery store. I will do a transaction for grocery items, and then one for items from the toiletry category or whatever I need to do. I am also not shy about telling the cashier at Target or wherever that I need to do two separate transactions. I have never had someone be frustrated with me, only interested in what we are doing! Obviously the given budget was created for a newlywed family of two. If we had a child, there would be more categories and higher amounts in some places. I would encourage you to sit down with your spouse and discuss a way to use this system that works for YOU! Every week I just take Ben's $10 out of his weekly envelope and give it to him to put in his wallet. He doesn't have envelopes that he carries around. :) If he needs anything in specific, I usually buy it for him, or he comes and gets his hobby money out of the box. I also always have the cash for our meals if we are eating out somewhere, which hasn't bothered us at all. My favorite thing about the envelope system is that it allows you to spend your money GUILT FREE. Because your amounts and categories have already been set, you don't have to feel like the money could be going to good use elsewhere. I have $80 a week for groceries, and I can use that amount, buying lots of great fresh produce and whatnot. The money has been given a place to go and it's okay to spend it, as long as it's done with thought! Keep in mind that it takes a little bit to get used to this system! Give yourself grace! The first month we used the system, we only used it for groceries, before going to everything. Again, figure out something that works for you. I will use this system until I'm an old lady. TRUTH. 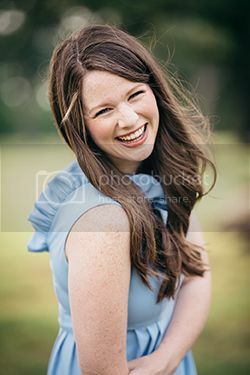 If you've skimmed this post and think it may benefit you later in life or you want to come back to it later, or just want to support our blog, go ahead and put your mouse over the image below, and pin this post to your Pinterest board! Let me leave you with this encouraging scripture that has helped me through this process. Again, PLEASE feel free to email me if you have any questions. If you are shy to reach out, remember that it would be so welcomed by me, and it would encourage me so much! This is so awesome! I have a quick question about your receipts. You said that you toss them every few months. Do you shred them? We have been saving our receipts for the past year and I don't really want to throw away that large quantity of receipts. Maybe I'm being paranoid? Anyways, LOVE LOVE LOVE this post! Thank you so much for sharing this! I'm halfway through college, already talking about marriage and finances...I'll be pinning this and sharing it with my guy! :) Hope it works well for us as it has for you! Also, something that has really helped us is a monthly transfer from our checking to savings for all those "savings" categories. We keep a nerdy excel spreadsheet that updates our savings amounts in each category. If the purchase is online (like car tag renewal or life insurance) then we just transfer that amount back to savings, zero it out, and start saving again. Then, for Christmas or a vacation, we just get the extra cash out at that time, zero it out again, and start saving again! Just a suggestion if you begin to get bogged down with all the savings envelopes. Thanks for posting. I know many will benefit from your post! Girl. I read every word. (That has almost never happened....) You might need to prepare for an email soon. Or maybe a meeting in a park where I grill you until you are blue in the face. So, I'm exploring your blog today and I came across your system. I really admire all the thought you put into it! My husband used the envelope system when he was single, but since we've been married we use a system of writing everything we make down into the appropriate categories in an account book and subtracting every purchase from the appropriate category. When there's no money left in that category, there's no money left. Pretty similar in theory to the envelope system, just a different way of accomplishing it! Hi! I have a question about this :) my husband and I did FPU when we were engaged but tbat was in 2011 so we have forgotten some things haha But my husband is in college and im the only one working. I work a full time job but my paychecks are based on hourly. 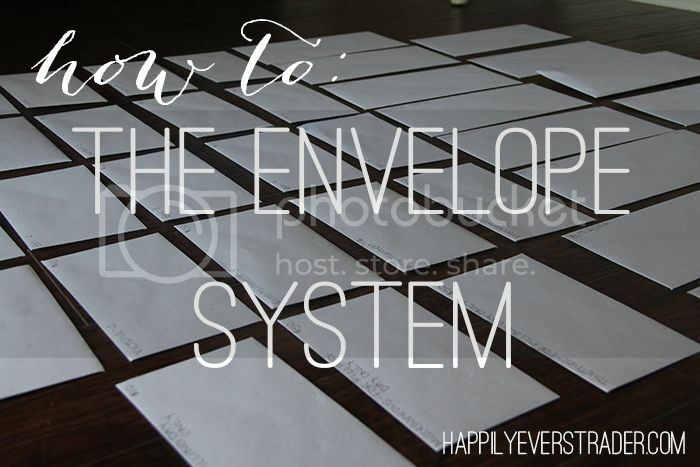 We have never done the envelope system but i've always wanted too! now that we've been married for a little more than a year I'm ready to just take initiative and do it! What are your thoughts on doing this effectively when you have an income that fluctuates? Thanks so much! I've read this post 3 or 4 times over the past few months. It is so encouraging! We are debt free after Financial Peace, but never actually did a budget. I think it's even more important now that we have extra cash floating around- it seems to just disappear! 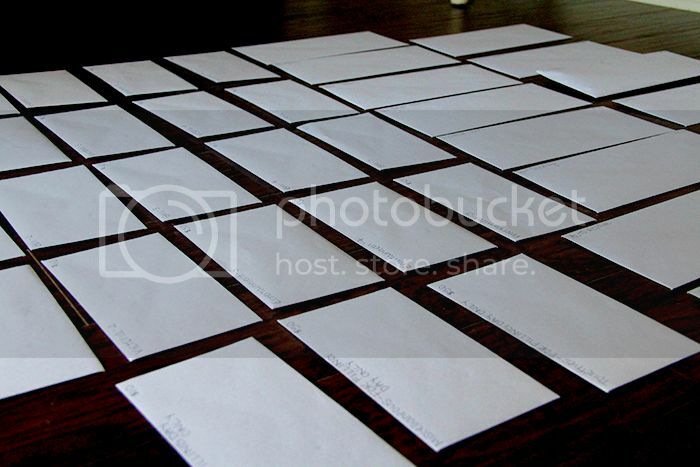 The envelope system is on my New Year's goal list! Great post! I love how you broke everything down. 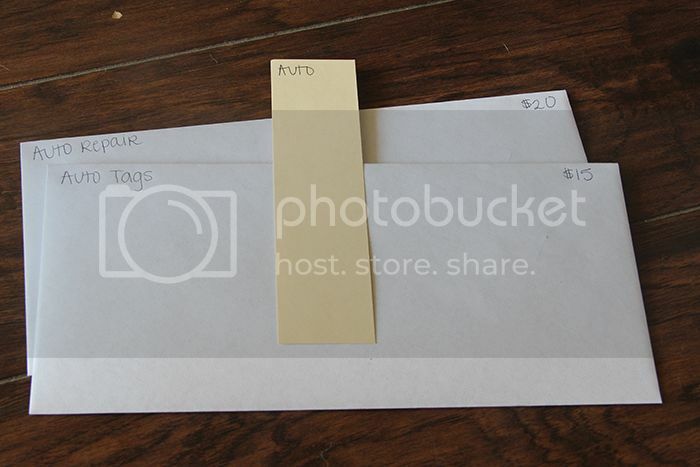 :) Instead of paper envelopes (that tear and you have to replace), have you ever looked on Etsy.com to find a cute cash envelope wallet? I bought mine about a year ago and I love it. There are a few different places on that site that you can buy them with lots of patterns and fabrics! Great explanation! I am a little confused from the weekly envelope pictures, though. There seem to be 5 weeks of groceries and the other weekly categories...is this because this was a month where you used the 5th Sunday fund? Do you typically have 4 weekly envelopes or 5? Thanks! Thanks for spelling this out so clearly. I've been clicking around the internet looking for detailed descriptions of how people use this system, and I finally stumbled across this. I really need every detail spelled out for me, so I appreciate you taking the time to do this! This is the best explanation I have found on the envelope system! I have searched the internet for months looking for something. I have tried to use the system before but failed miserably. I think this is because I never fully understood it, until now. Thank you so much for writing this very detailed blog. I would love to see more blogs about budgeting and how to set it up. i'm struggling to understand how 5th sunday works! I read this post a while back, and it has really helped me and my husband. We are currently going through FPU. I just shared this post with our classmates, hoping it helps them as much as it did us. Awesome post! Thank you for this post! I found your blog through Pinterest and I'm currently reading Dave Ramsey's Total Money Makeover. This post is definitely going to help me with budgeting. I'm recently engaged and I want to implement your tips in my marriage. 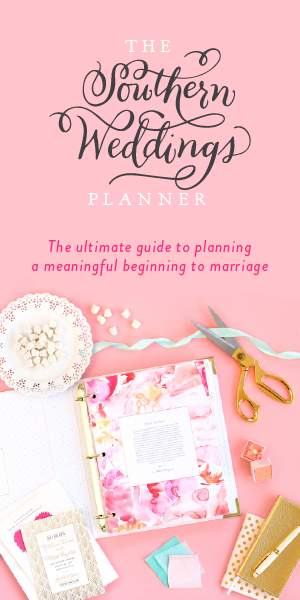 Do you have any tips on budgeting for a wedding? Do you have a link for the free printable for the budget sheets? I'm so impressed. Thanks for all the tips. I don't think this is right for us right now, but I'm definitely going to take this into consideration for revamping our personal budget spreadsheet. 5th Sunday: (Saving Category) Okay. Bear with me. When you choose a certain day of the week to distribute weekly envelopes, there are always going to be a few months out of the year that have 5 of those days instead of four. We get our envelopes on Sundays, so this envelope is called "5th Sunday". There is a month with 5 Sundays every 3 months. 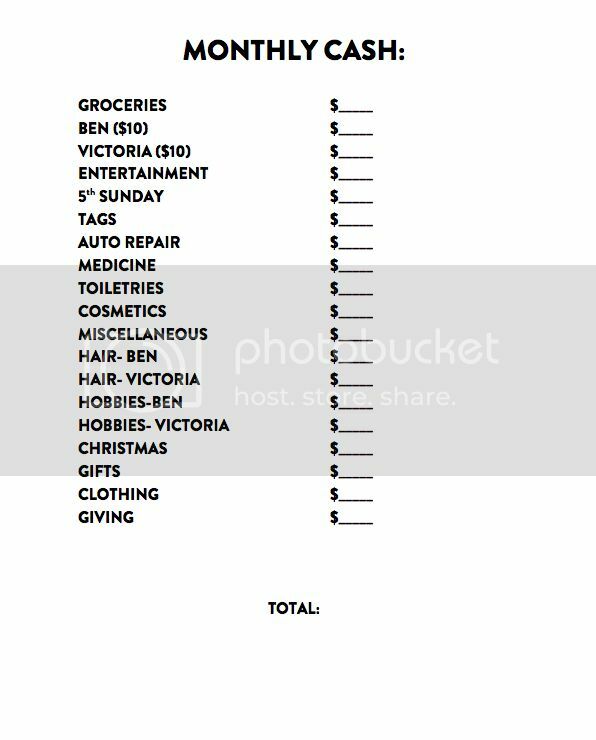 We added up the four categories that we get weekly, (groceries, Ben, Victoria, & Entertainment) and divided that total by three. For example, if it was $33 (it's obviously not!) Then you would put $11 in this envelope every ********month*******. Then, during the longer month, you have saved the $33 that you need for the week and you don't have to feel like you are spending more money that month. I hope I communicated that clearly, again, feel free to email me!" You see a couple lines up where I put the ***asterisks? **** is that word supposed to be 'WEEKS' because otherwise it doesn't make sense to me. Please advise; I am working with your system--tweaking it a bit of my system and of course another person's to make it 'juuuuust right.' ;-) THANK YOU for doing this post! I think you have given an wonderful idea for resourcement with church but sometimes churches need church mortgage resourcement. For internal issues, safety, expansion or debts it may need financing for it. But they should be careful of choosing lenders.